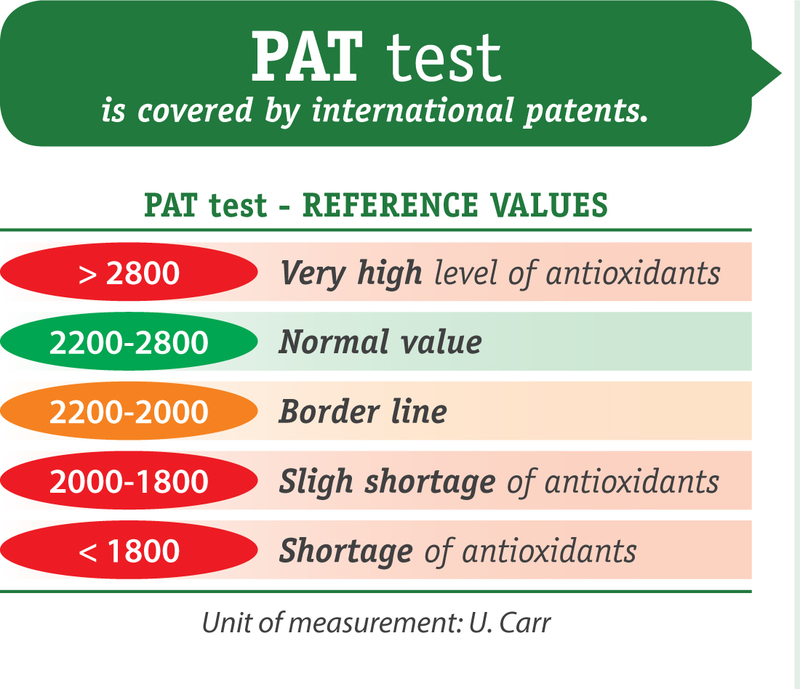 The PAT (Plasma Antioxidant Test) is a photometric test that is done using an analytical instrument called a photometer in order to determine the antioxidant power of plasma. For outpatient and routine testing, it is proposed in conjunction with the FRAS system, which, besides having an optical reader, also has a built-in centrifuge to separate the liquid part of the blood from the blood cells. What does the PAT test measure? The PAT test essentially determines the concentration of the water-soluble antioxidants in the blood that are able to reduce ferric ions to ferrous ions. 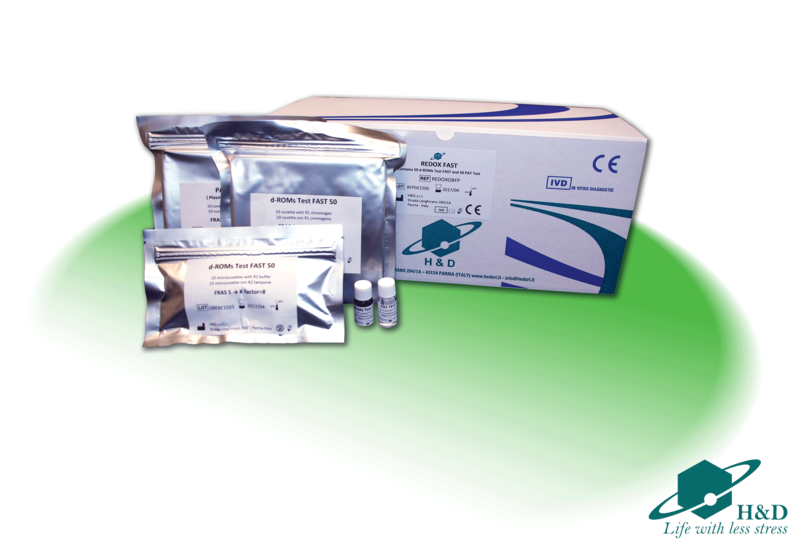 The test is extremely sensitive to the concentrations of antioxidants changes. The PAT test was not designed to provide information on the concentration of an individual antioxidant as this would be of very little clinical value, but to determine the total antioxidant reserve. The PAT test is patent protected. The PAT is packed together with the d-ROMs test inside the REDOX FAST kit and c ontains everything needed to perform 50 tests, with the exception of cotton and alcohol.